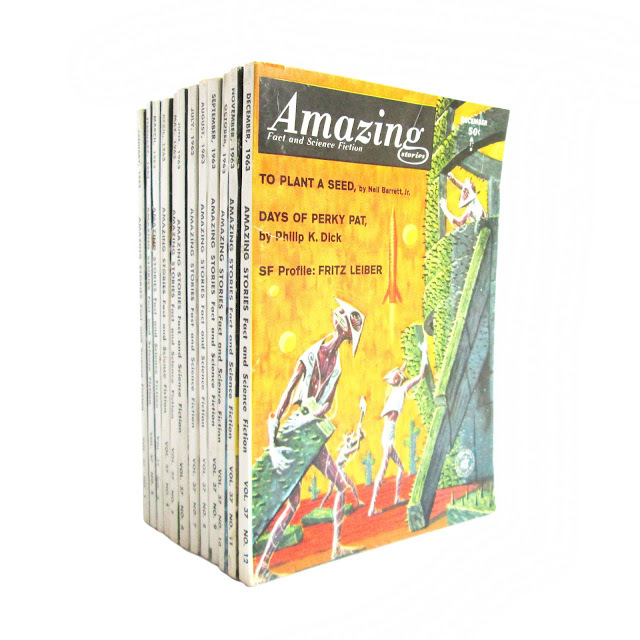 This is a complete 1962-65 set of Amazing Stories magazine, 45 issues total. 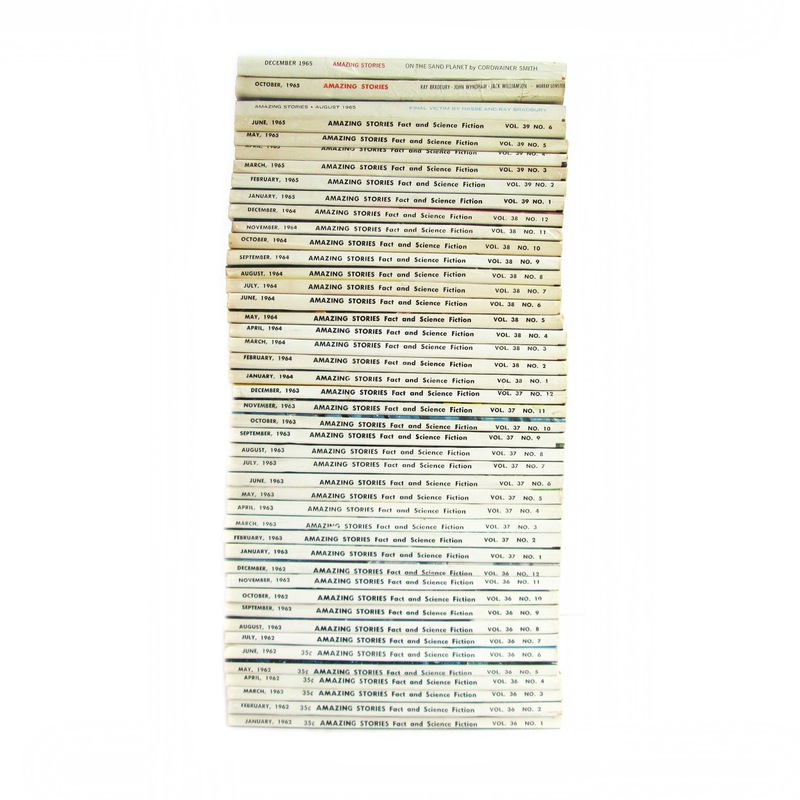 Full 12 issues for the years 1962, 1963, 1964 and half of 1965. 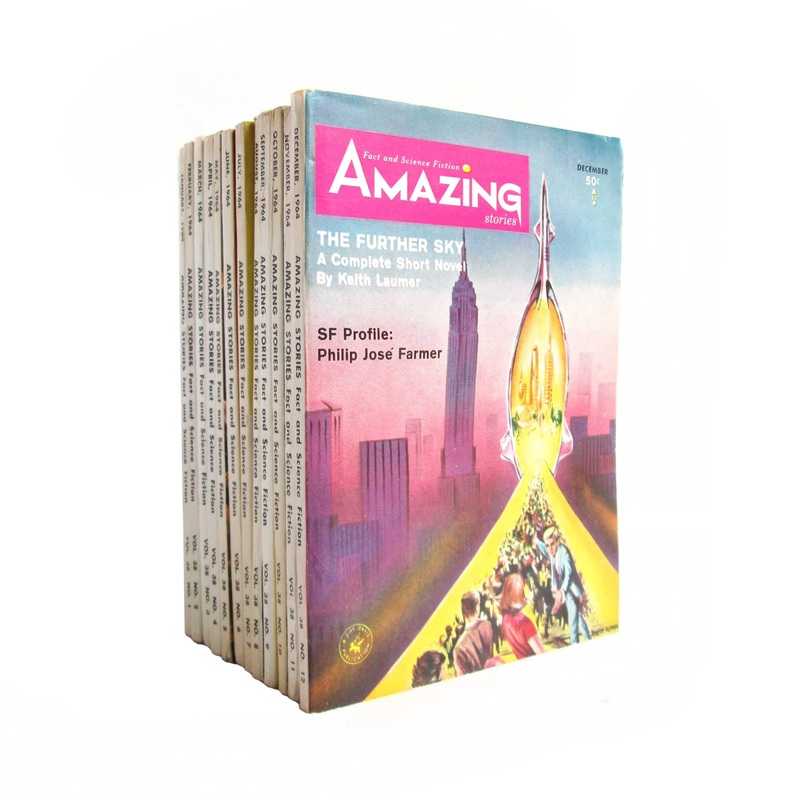 In 1965, the magazine was sold to the Ultimate Publishing Company and was moved to a bi-monthly publishing schedule with a slightly different format. 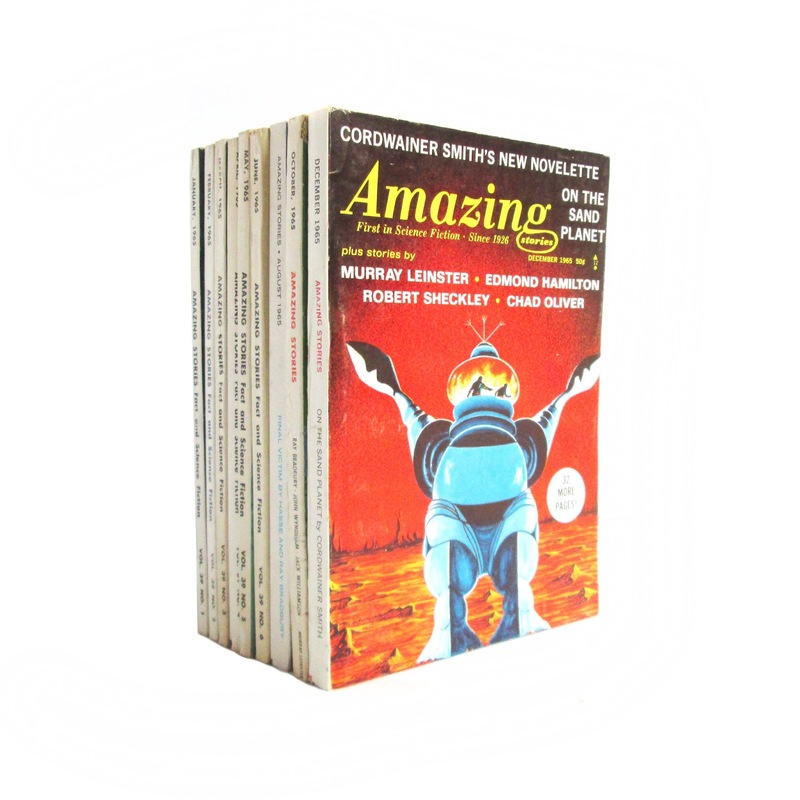 Each has a colorful cover with a color cover illustration. Each contains 6-8 works of short sci-fi, plus essays, author profiles, news and other pieces. 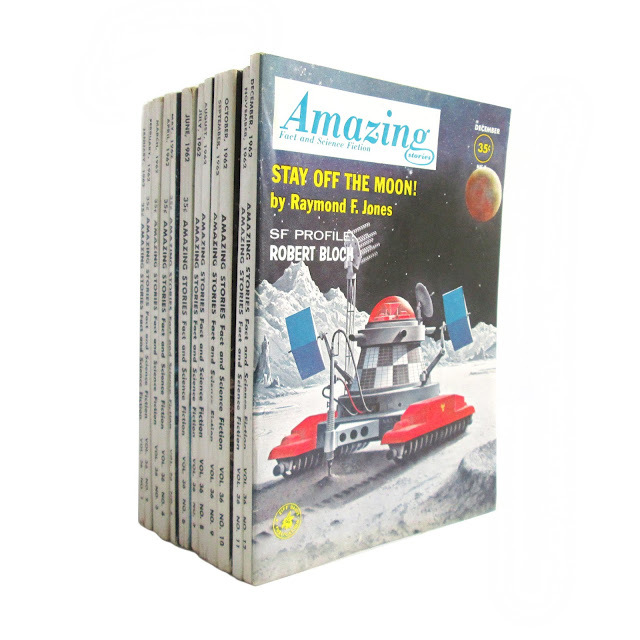 Some black-and-white illustrations within. Overall set condition is Very Good; some cover, edgewear; some spine wear; pages browned. Each issue is approx. 125 pages, 5"x7". Features authors such as Philip Jose Farmer, John Brunner, Daniel Galouye, Randall Garrett, Harry Harrison, Edgar Rice Burroughs, James Schmitz, Robert Bloch, Edmond Hamilton and more. Ziff-Davis / Ultimate Publishing Co.